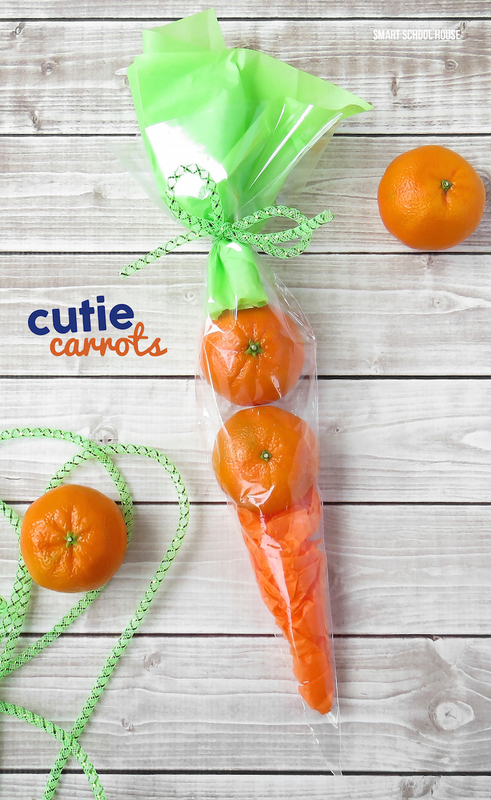 Ice cream cones – the cheapest cake cones you can find! 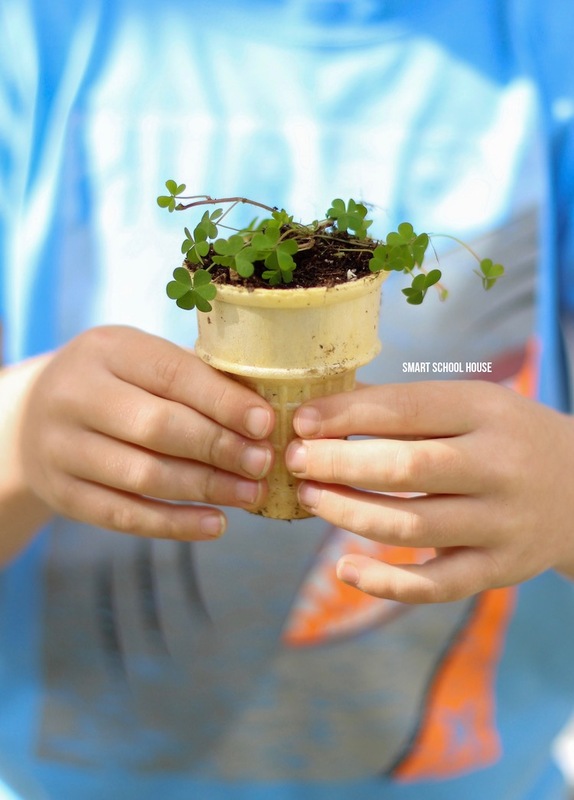 If you’re looking for a fun and easy way to get kids involved with gardening, consider this Ice Cream Cone Seedling Garden! 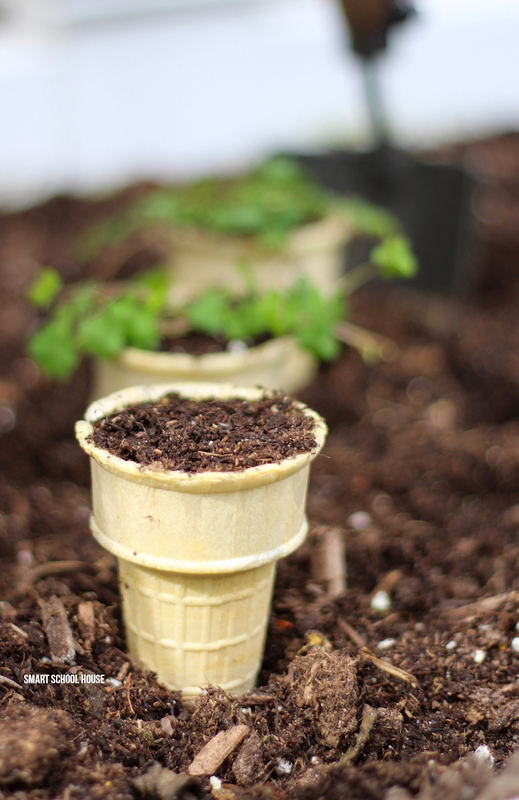 Ice cream cones are completely biodegradable, which saves money when growing plants from seedlings and then transporting the to the ground or garden. What’s the trick to making this work? Cut the bottom 3/4 of the cone off! 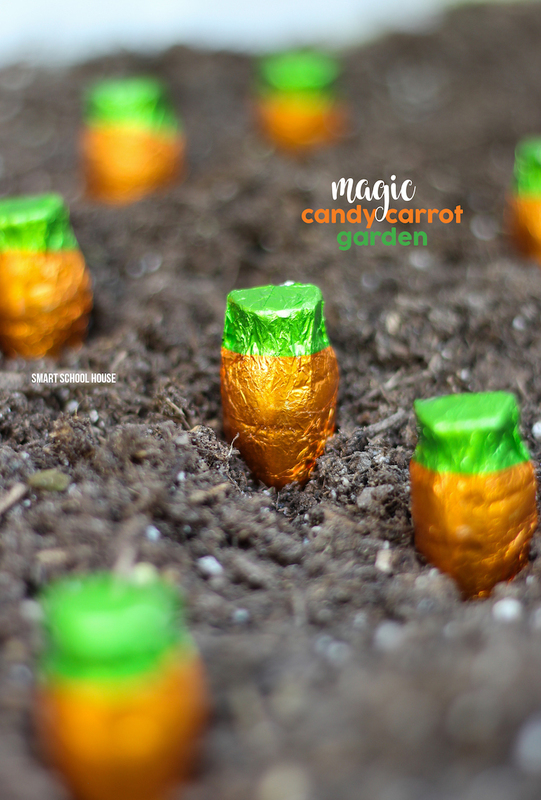 That’s right, don’t plant the entire cone into your garden or the ground. 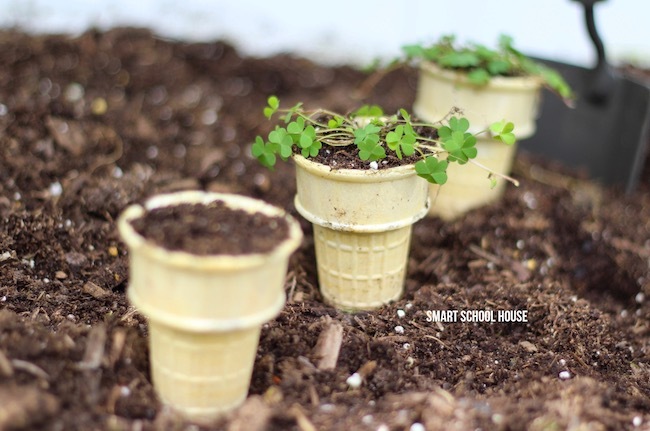 The poor tiny seedlings won’t be able to grow past the cone in the soil before the cone is completely gone. It’s as simple as that! 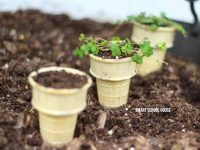 Water regularly, give the baby plants enough sun, and even add nutrients like fertilizer or your preferred garden vitamins to the ice cream cone seed starters. 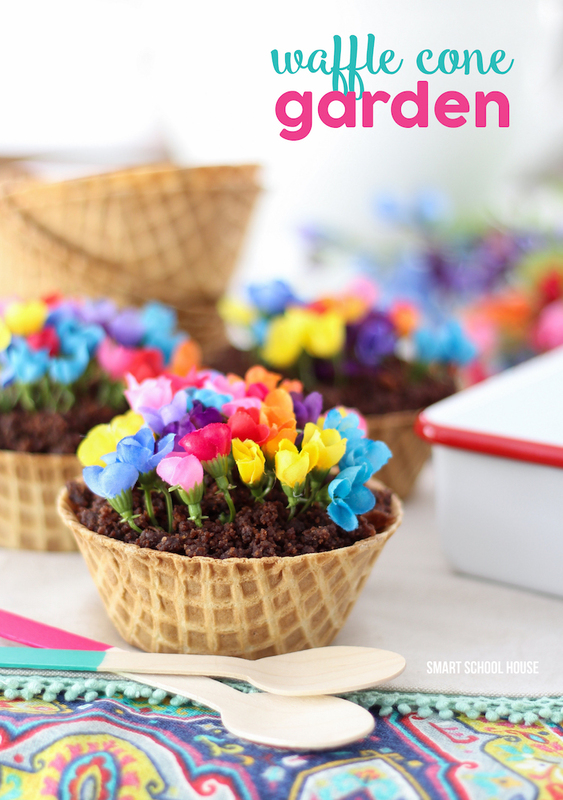 Kids are particularly good at growing ice cream cone gardens! Today we planted clover seedlings in hopes of finding a leprechaun and a pot of gold this spring. 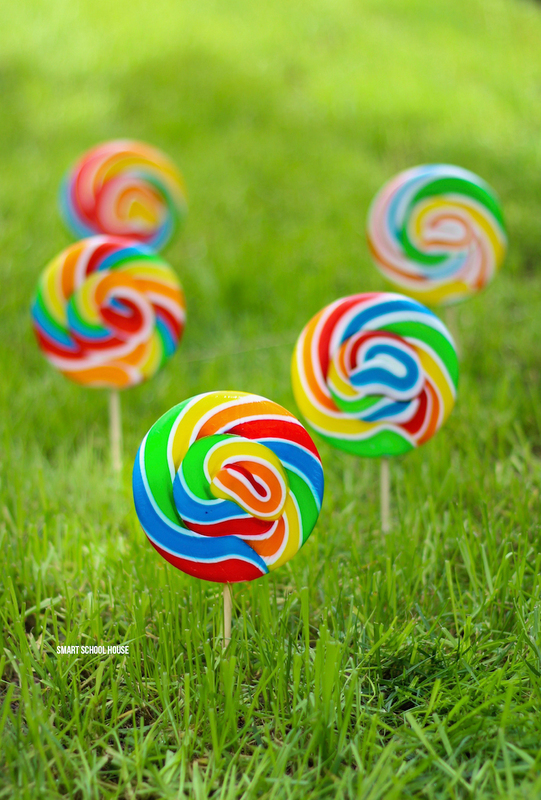 Can we just make time stop so my kids never get older?